"Nostaligic Candy Outlet Store Offers Big Bargains In Troubled Times"
The Boyer Candy Company Outlet Store offers entire product line plus additional items and reduced pricing on factory imperfects/surplus. Customers can also purchase a variety of novelty gifts, including our Boyer merchandise. The outlet store offers seasonal and holiday items for all and has just added our new pretzel line which can only be found in the store. Stop by and visit us in Altoona, PA! 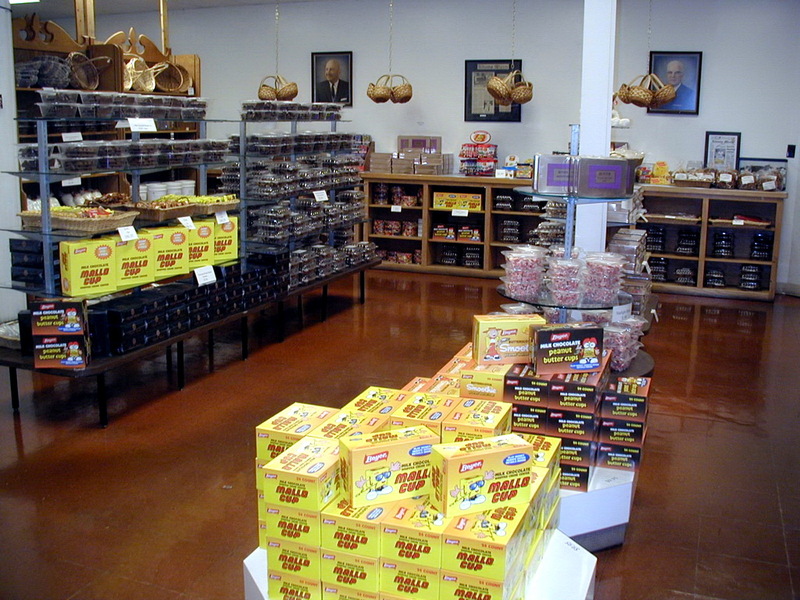 The Boyer Candy Company Outlet Store is home to the entire Boyer product line as well as additional items and merchandise. The Outlet has expanded significantly to include a variety of novelty gifts such as our Boyer merchandise (t-shirt, hats, tins, back packs, mugs, watches and more), Ty-Beanie Babies, and Jelly Belly Jelly Beans. Not only can customers find these unique gifts, but they can also purchase holiday and seasonal goodies as well. The Boyer factory utilizes special molds in order to create holiday and seasonal shaped candies. If you want to offer your significant other a bouquet of chocolate roses or put a smile on your child's face with a delicious chocolate rabbit then the Boyer Outlet Store has just the selection for you (in season only)! 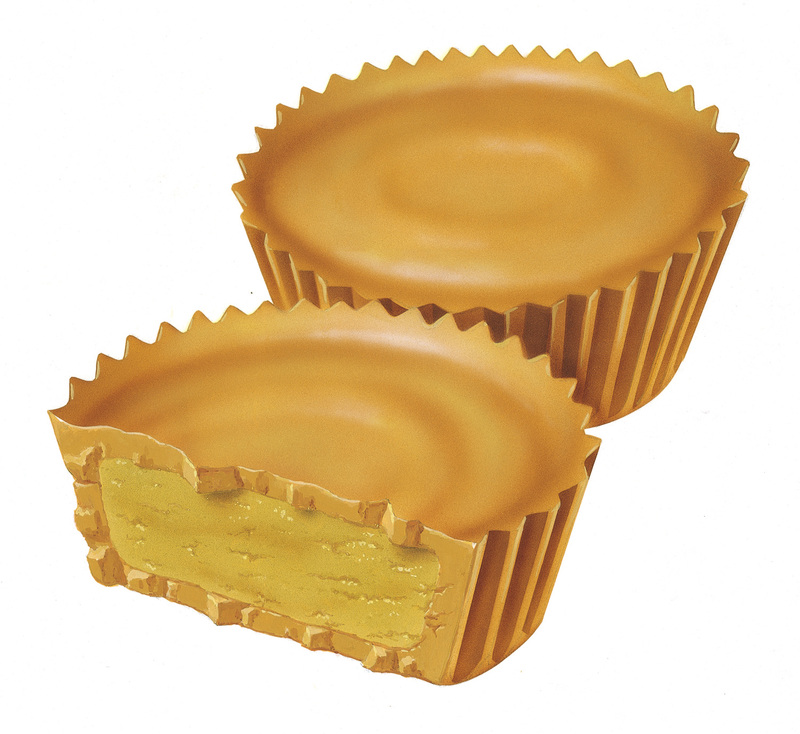 Eager customers stop by daily to receive reduced pricing on our factory surplus and imperfects, as well as our direct product line items, "Mallo Cups," "Smoothies," and "Peanut Butter Cups." 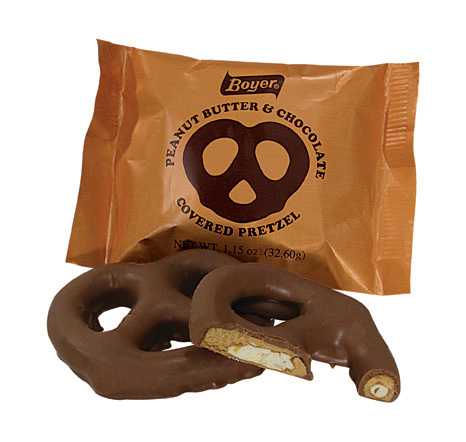 Hot, new items which can only be found in the Boyer Outlet Store make up our new pretzel line which consists of bite size peanut butter chocolate pretzel nuggets, chocolate covered pretzel rods, and honey cinnamon graham pretzels. 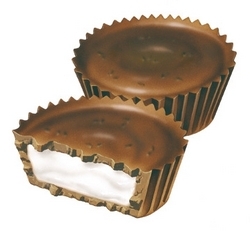 These delicious treats are becoming new favorites among many! While shopping our outlet be sure to take a look at video clips of our candy production and the building of our plant!